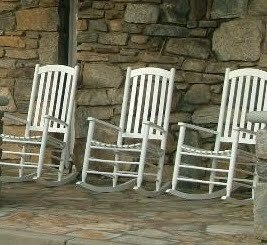 Pictured above are the new furnishings being installed in the Durham Bulls bullpen. I’ve mentioned a couple of times this year the “maturity” of the Bulls position players. 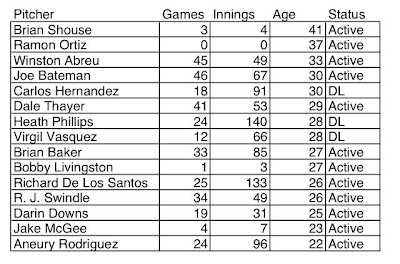 With the Rays’ signing of “veterans” Ramon Ortiz and Brian Shouse we’ve seen a dramatic increase in the maturity of the pitching staff as well. Of the three new guys (Paul Phillips doesn’t count. He’s already gone back to Montgomery), Bobby Livingston at 27 is the youngster. 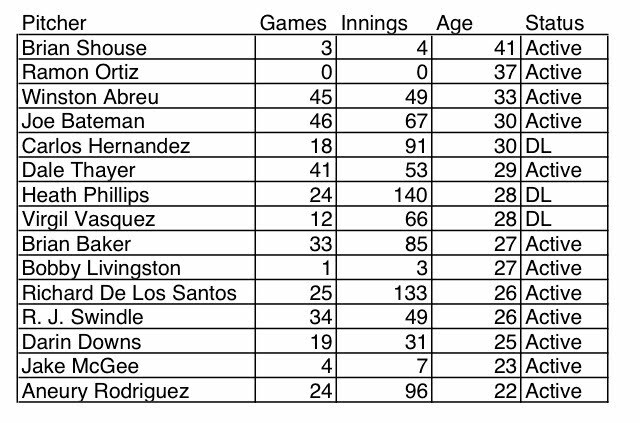 At 37 and 41, Ortiz and Shouse are definitely at the other end of the scale. What’s going on? Not really sure, but here’s my speculation. I think that the Rays system is simply caught up in a broader cultural/demographic phenomenon, the “half-back”. To explain that, let’s go back to my youth in Florida. In that time, St Petersburg was known to folks living elsewhere in the state as the “City of the Living Dead,” a reference to the average age of the city’s residents. Nowadays here in North Carolina we are witnessing the “half-back” phenomenon, which refers to folks who retire to Florida and then move, “half way back.” Have the Rays simply shortened the process and just retired a couple of guys directly to North Carolina early? On the other hand, and a perspective encouraged by those of my age and appearance , what’s wrong with a “mature” approach to the game? What’s wrong with being comfortable out there on a summer evening? What’s wrong with liver spots instead of tattoos? We all know that old guys can be really sneaky. What’s wrong with tripping up a guy coming home with your cane? Given the length of this road trip, I’m wondering how many of the new guys will still be with the Bulls by the time they get back to Durham. Couple of interesting points in last night’s game. Leslie Anderson got his first home run and, in another at bat, got his first hit off a left-handed pitcher (a point of some concern to Rays Index a while back). Rocco Baldelli was 0 for 5. Nobody’s pitching (except for Winston Abreu, of course) was impressive. Norfolk and Durham had 14 hits apiece. Bulls did not hit into a double play.